The automotive market is always on the move. There is still a lot of 2017 to go, but 2018 is creeping up, and there are already some 2018 models available. Mazda has big plans for its 2018 model year. In fact, the 2018 Mazda updates include an all-new three-row crossover called the CX-8 along with updates for the CX-5 and CX-9. The CX-8 is bound for the Japanese market and will be shorter and narrower than the large CX-9 model sold here in the United States. We Americans like things a bit bigger, which is why Mazda is just sending the CX-8 to Japan. As for the American 2018 CX-9, it should get a few exterior updates including new LED headlights. One exciting change for the 2018 CX-5 is the addition of a diesel engine option. This engine promises to deliver a fun-to-drive, fuel-saving experience that experienced drivers should love. Additionally, it should have a sportier, more sculpted exterior design. 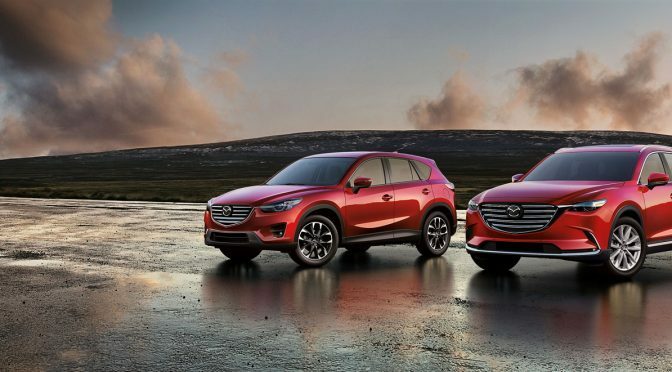 Here at Wantagh Mazda, we can’t wait to see what the 2018 Mazda model year will bring. We expect to see some of these models start rolling in as early as this fall. Which 2018 Mazda model are you most looking forward to?